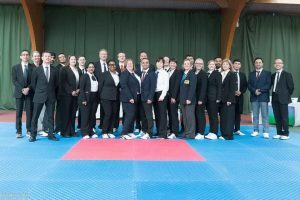 Bluewave was honored to be able to host its 2nd Open Poomsae Championships in Basingstoke – Sunday 3rd June 2018. 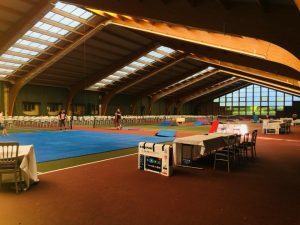 It was held at the prestigious Hampshire Court, which proved to be an ideal venue, with four rings, a warm up area and plenty of space for spectators. With the competition full within a few hours of entries open, Bluewave worked hard to increase the capacity of the competition and were finally able to welcome 414 entries, from 32 clubs, proving to be the largest Poomsae competition in the country since the National Championships in 2017. 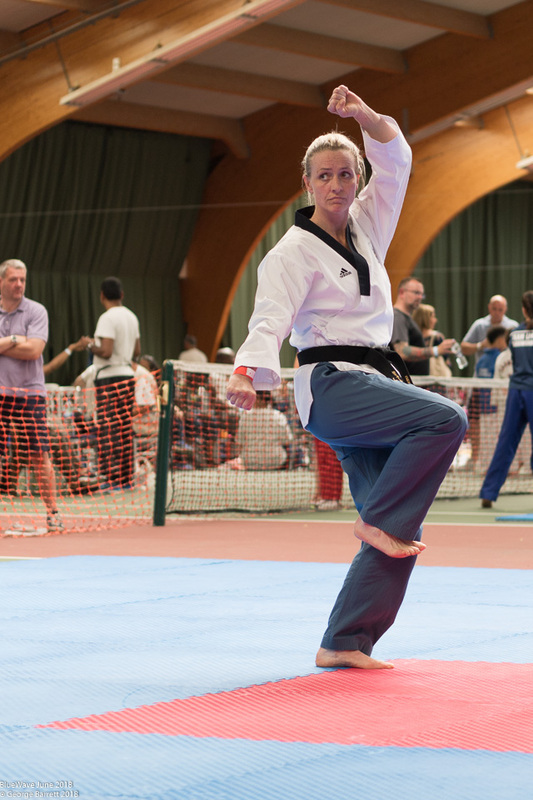 The competitors ranged from many complete novices to those of several years of international experience. The standard of competition was high, with many outstanding performances, showing off not just the talent of today, but also the depth of competitors for the future. Support from coaches and spectators was positive and encouraging to all, irrespective of the club. Presentation gift of thanks for their support were made to Shirley Stapleton representing British Taekwondo, Amy Sambell representing Basingstoke & Deane Borough Council, Grandmaster Mark Biddlecombe as President of Taekwondo Chungdokwan, Grandmaster David Bailey, Head Referee for the day and Master Gemma Biescas as Head Performance Coach for GB Poomsae. 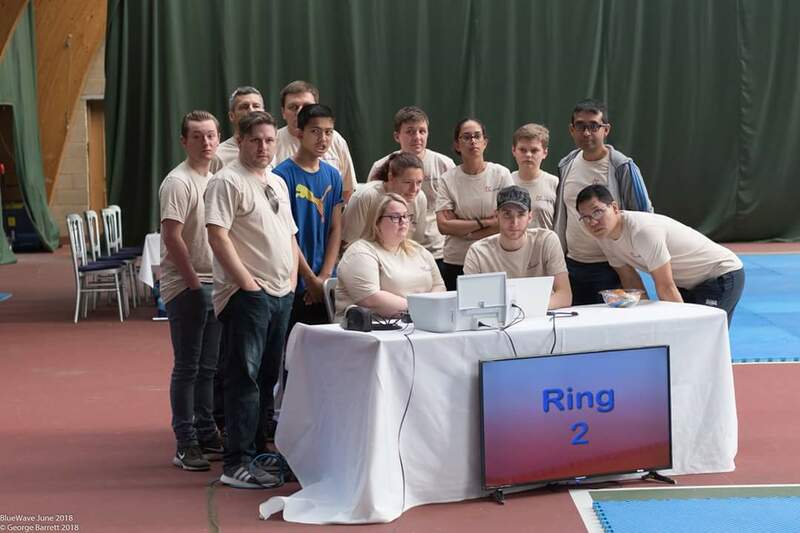 With the competition falling within National Volunteers week, Bluewave would like to thank the two groups of volunteers who were vital to the success of this competition. 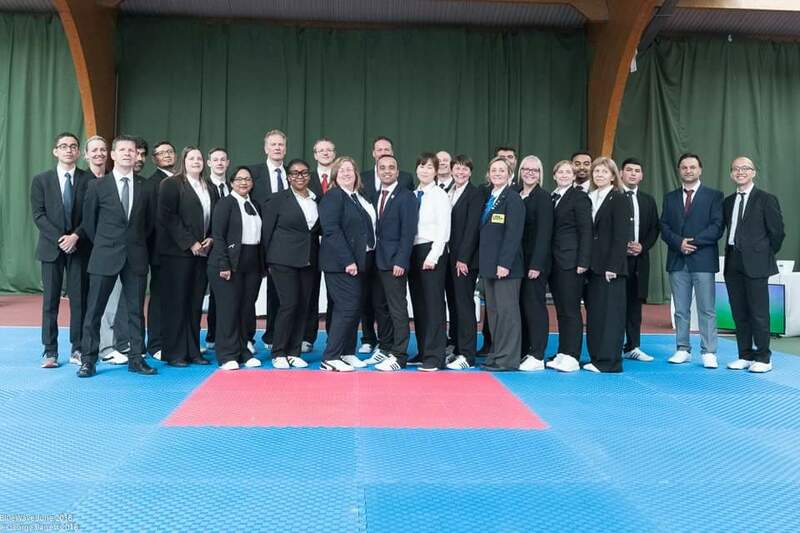 Firstly, the referee/judges team under the guidance of Grandmaster David Bailey, who worked incredibly hard across all four courts ensuring a good standard throughout a long and hot day. Secondly the large team of volunteers from Bluewave and other local clubs who assisted with the setup on Sunday, running the competition throughout Sunday and then the take down on Sunday evening. The team worked incredibly hard over the weekend, thank you. The feedback from those attending has been overwhelmingly positive and certainly exceeded our expectations and is a reflection of the success of the weekend.